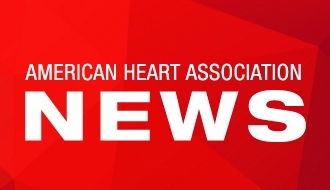 Washington, D.C. – Jan. 28, 2019 – Andrew Blackshear, a cardiovascular disease patient and volunteer with the American Heart Association, will testify tomorrow during a House Ways and Means Committee hearing about the critical importance of health coverage for pre-existing conditions. Blackshear, a Northern California resident, will share his personal experience being denied coverage for open heart surgery and then finding a health insurance plan under the Affordable Care Act (ACA) that covered his lifesaving care. In 2015, at age 27, Andrew contracted “valley fever,” an infectious disease caused by fungal spores found in the dry soil and dirt of Central California. After experiencing a high fever for three weeks, he learned the disease had reached his heart. Within weeks of his first open heart surgery, he went into heart failure. But his short-term health insurance plan initially refused to pay his nearly $200,000 in medical bills. While battling his worsening condition, Andrew was forced to contact numerous doctors from his past in an effort to prove the infection had not been caused by a pre-existing condition. As soon as the ACA open enrollment period began, Andrew enrolled in a comprehensive plan that covered the costs of his second emergency surgery. Blackshear is available for interviews before and immediately after the hearing. Interested media please contact Suniti Sarah Bal (916-390-1860) or Steve Weiss (202-607-0911). For more information about the hearing and other scheduled witnesses, visit < https://waysandmeans.house.gov/legislation/hearings/protecting-americans-pre-existing-conditions>.